It’s easy to heat up your romance on cold winter days! 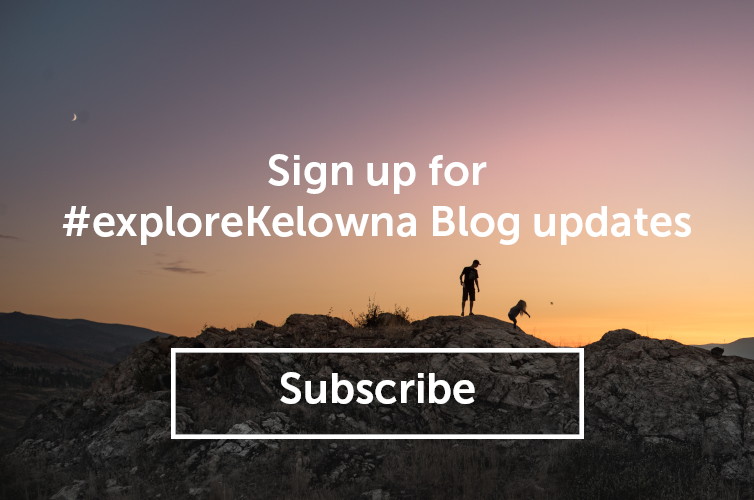 Here are a few suggestions on where you can take your sweetheart while enjoying Kelowna’s cool season. The View Winery hosts tours every weekend where guests can come for a winter vineyard experience followed by a wine tasting in the intimate wine shop. Depending on the amount of snow on the ground, consider bringing your snowshoes! Every Saturday and Sunday from 12 p.m. to 3 p.m., visitors can come for a self-guided tour of the vineyard where you can take in the views of the city and the lake from between the vines. The cost is $10 per person. For those who would like to be educated about wine - every Saturday, the winery president hosts guided tours where you can learn about the winemaking process and the history of the 1920s wine shop building at The View that once served as a fruit-packing house. The cost is $15 per guest and available for parties of four or more. These tours are by appointment only; you can book online here. A skating rink can be a lovers’ paradise! Imagine gliding around on ice hand-in-hand with your honey, and you can do it for free in Downtown Kelowna at the Stuart Park Ice Rink if you bring your own skates and helmets. Open daily from 6 a.m. to 11 p.m., you can take advantage of its proximity to nearby restaurants to prolong your date night. If you need to rent equipment, skate and helmets are available from 11 a.m. to 8 p.m., but the skate shop only accepts cash. Looking for a place to warm up? Head to the fire pit on the north end of the rink, lit daily from 3 p.m. to 10 p.m. on weekdays and 10 a.m. to 10 p.m. on weekends. With Big White Ski Resort and SilverStar Mountain Resort only about an hour’s drive away, you have plenty of options when it comes to finding the perfect ski run! Both mountains are open daily until early April and have world-class facilities to accommodate skiers and snowboarders of all levels. 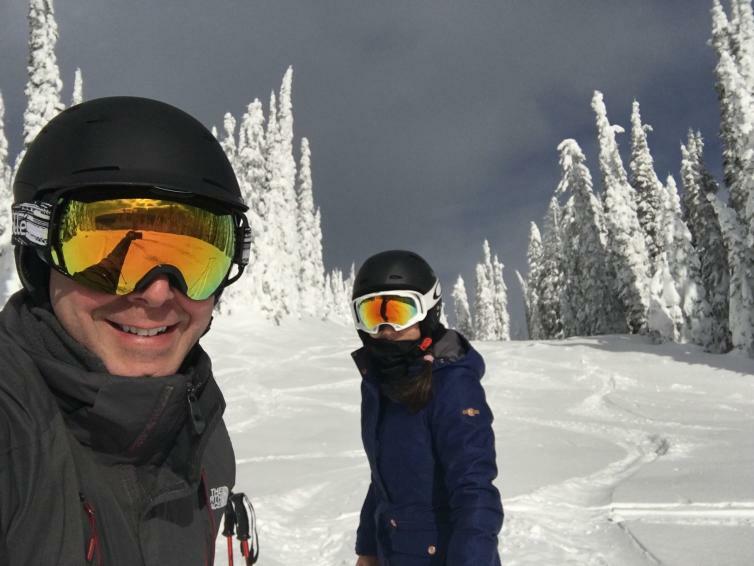 With everything from budget to luxury accommodations available in Kelowna, it’s easy to make a trip to one of our local ski resorts for a romantic weekend getaway. Don’t ski? Both resorts also have day spas, tubing, skating, horse-drawn sleigh rides, snowmobile tours, and more. Impress your date with your putting skills at Scandia Golf and Games. With an indoor jungle mini golf course and the largest arcade in Okanagan, this is the place to drum up some friendly competition. Here’s a tip: if you really want to dazzle your date, get a hole-in-one on the 18th hole to score a free game. Bowling is a fun game that is easily enjoyed with your special someone. It can also be a relaxing ice-breaker activity for first dates since you can always talk about your skills. 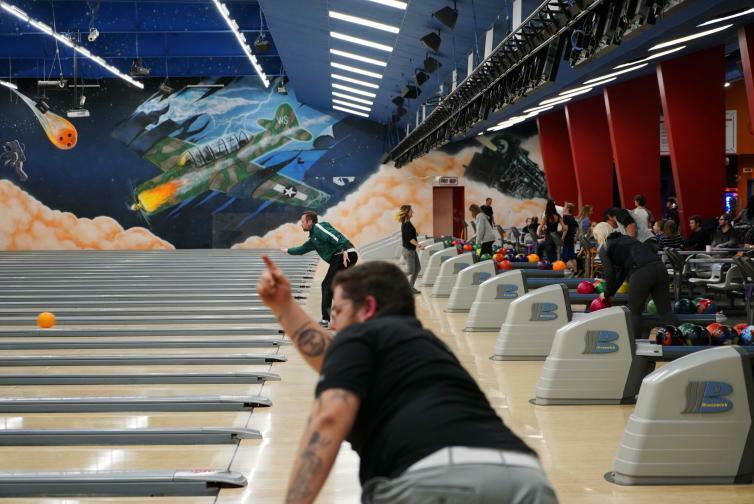 Lake City Bowl is a 10-pin bowling establishment with cosmic bowling that starts every night at 7 p.m.